Stay at the Orlando Metroplitian Express Hotel on International Drive includes free schuttles to all major attractions. November holidays to Florida are at very competitive prices and if you are lucky enough to be able to travel at this time you will be getting the very best prices. If you are planning a romantic trip to Florida for you and your partner, then November is a great time to come. Try to plan your trip during the first two weeks of November. That way you can miss the Thanksgiving tourists that will frequent the airports and theme parks throughout the last two weeks of the month. Whether you are honeymooning or just planning a romantic getaway, a November vacation in Florida is perfect for couples. The air outside is cool and it simply feels good to walk around outside while holding hands. Best of all, you can get great deals on hotel rooms if there are only two people travelling together. Since November is a holiday month in America, you can expect Disney World to beef up their queues during this time of the year. The restaurants are all going to have special menus available that cater to the American Thanksgiving holiday. Expect to see lots of deals on turkey, ham, stuffing and lots of other tasty dinners. Besides the common Thanksgiving fireworks and spectacles, you will get to see the Osborne Family Spectacle of Dancing Lights. This is a special light display that can be found on Hollywood Studios Streets of America. You will see millions of sparkling lights and holiday blubs that were designed by the late businessman Jennings Osborne. November weather in Florida is still very warm with an occasional breeze in the air. You might think because it is so close to winter that it will be cold, but it is not. You won’t have to pack heavy clothes or worry about any snowy weather either. November is also the last month of Florida’s “hurricane season,” which means any chance of heavy winds or rainy weather will cease up during the month. You don’t have to worry about that though because the biggest chances of hurricanes usually happen in summer time. November is usually clear cool weather throughout the whole month. Below we have put together 2 fabulous Novembery Florida holidays in 2014 The first one is flying out with British Airways on its direct service from either Gatwick then collecting your intermediate 4 door carhire from the airport, this holiday is also offering a beautiful 4 bedroom villa in the Solana area (only 10 minutes from Disney). Package two is for a couple wanting to enjoy both Disney and Universal Hotels on the same trip. 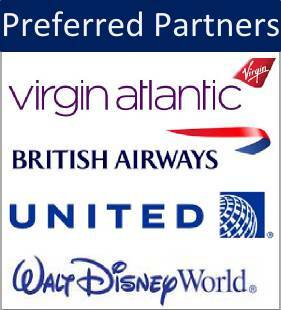 This theme park package will be flying direct from Manchester with Virgin Atlantic, it will include an intermediate 4 door car for the full duration. 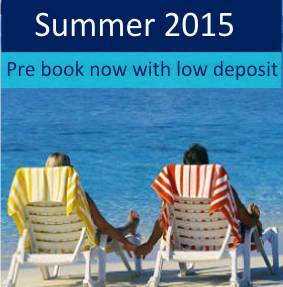 Fill in one of our Enquire now forms for an instant quote for Flights or Holidays to Florida in November. Situated along International Drive Orlando's only canopy covered and outdoor water resort hotel featuring slides, rides and fun amplified with flumes and poolside entertainment. Staying 10 nights at Disney Old key West and 4 nights at Universal Hard rock cafe. 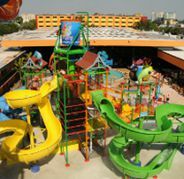 Both hotels offer first class service and theme park activities. Local shuttle service and after hours opening times.